These are some of the words which were used by the Next Generation 2018 cohort in many many discussions over the past four months since embarking on the Japan Foundation Asia Center programme. Ten members; from six countries; spent seventeen days; visited two countries and four cities; watched over forty performances - together. We will provide glimpses of our experiences which inspired these questions. We hope that together we may find many answers. We like for you to join us. "Audiences. Responsibilities. Value. Ecosystem. Embedded." Freelance creative and cultural worker with multidisciplinary interests, working with sound, video, and poetry. Year-round, producer and manager for various local and international cultural projects, aside from handling research/writing duties for the development sector and creative industry. Recently engaged as Co-director in WSK AXIS 2017, a new media art festival featuring Filipino and Japanese artists (Manila, Oct 2017), as Coordinator and workshop presenter in MeCA: Transnational platform for new media and digital culture in Asia (Tokyo, Feb 2018) and as Creative producer/performer in World Listening Day 2018 Philippines, digital album launch and experimental sound ensemble performance, presented by women-curated art platform HERESY (Manila, July 2018). 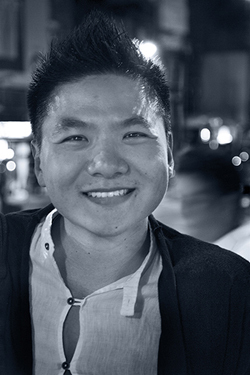 Grey Yeoh is currently a Senior Programme Manager for festivals at the National Gallery Singapore. He supports in programming three festivals organised by the Gallery, including the Children's Festival, Children's Biennale and Light-to-Night Festival. He works with cross-disciplinary artists to realise their installations and performances. From 2010 - 2017, he was the Head of Arts & Creative Industries at British Council Malaysia, where he was also the Southeast Asia Lead. In 2016, he took a secondment to be the Head of Arts of British Council in Australia. He connected many UK based artists, arts companies and art collectives with Malaysian, Australian and Southeast Asian counterparts. In 2008, he co-curated an art-historical exhibition 12 Years and the Emergency Festival , focusing on the leftist Malayan Emergency historical narrative and the legacy of colonialism, anti-insurgency and communism on modern society. He has worked on the visual designs for several Malaysian theatre productions, including Gostan Forward with Malaysian dancer-choreographer Marion D'Cruz (dir. Mark Teh), award-nominated Wayang Fajar and Something I Wrote by Malaysian theatre company Five Arts Centre. Ness Roque (b. 1991; Angeles City, PH) is a theater and film actress, performance-maker, writer, dramaturg, and artist-manager based in Quezon City, Metro Manila. 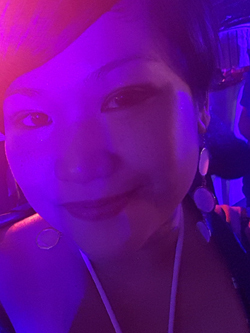 She is a core member of contemporary performance company, Sipat Lawin Ensemble; Habi Education Lab, a design and research group that focuses on innovations in education; and ProdJx Artist Community, a collective of artists and researchers using art and science for community-based education and development. 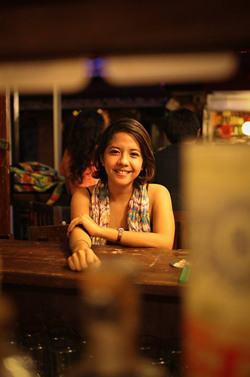 Linh Valerie Pham is a theatre and puppetry artist based in Vietnam and an alumna from Sarah Lawrence College. 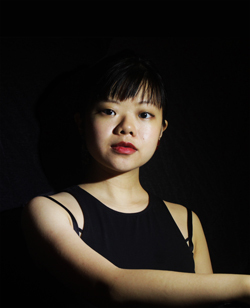 Her works have been showcased at Oriental Gallery (Hanoi), Vincom Center for Contemporary Arts (Hanoi), Soul Live Project (HCM City), Brick Theatre (New York), CPR-Center for Performance Research (New York), and HERE Arts Center (New York). Linh also works as a teacher and facilitator, conducting movement-based, puppetry and creative writing workshops across the country for a wide range of participants, including those with special needs. Using arts as a tool to advocate for social change and to help people find their own voices, she has collaborated with NGOs such as Institute for Studies of Society, Economics and Environment (iSEE), Hagar International, LIN, CCIHP, Nhat Hong Center for the Blind and Visually Impaired, Westchester Correctional Facility among others. Linh is also the founder of Mat Tran Ensemble, a new local theatre group that focuses on creating inclusive arts. She and her company have received funds from Singapore International Foundation (SIF), FRIDA- Young Feminist Fund, and Prince Claus Foundation. In October 2018, Mat Tran have performed an original work at the Biennale International Puppetry Festival in Yogyakarta, Indonesia. Pavinee has been working in the fields of theatre and performing art as an actress, lighting designer, and producer with many theatre groups in Thailand to pursue her passion for performing arts and develop her skills for art profession since 2000, after graduated. 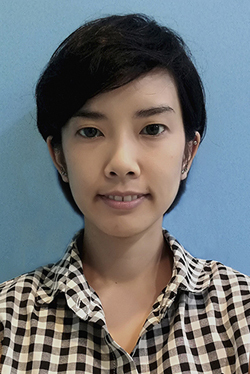 She is one of founder and also a co-artistic director at Democrazy Theatre Studio, Bangkok, Thailand, the progressive and independent studio founded in 2008, that produces a wide range of theatre works, events, and international festivals. 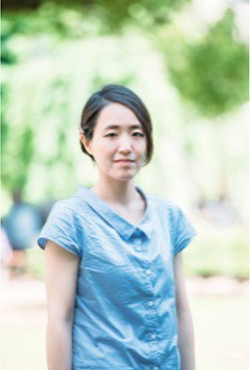 In collaboration with Arts on Location and Democrazy Theatre Studio, she was responsible as a producer, organised the Bangkok International Children's Theatre Festival (BICT Fest), the first international theatre festival for young audiences in Thailand. Pilaipun Thammamitr is a freelance. She works as an Assistant to Manager in a music and sound system rental company. She teaches English for kids at a private tuition school. She is also working with many theatre productions in Thailand as a producer, a front manager, reservations, and sometimes stage manager. Renan Laru-an (b. Sultan Kudarat) is a researcher, a curator and a member of the founding team of the Philippine Contemporary Art Network at the Vargas Museum and Filipiniana Research Center, where he leads the Public Engagement and Artistic Formation Desk. 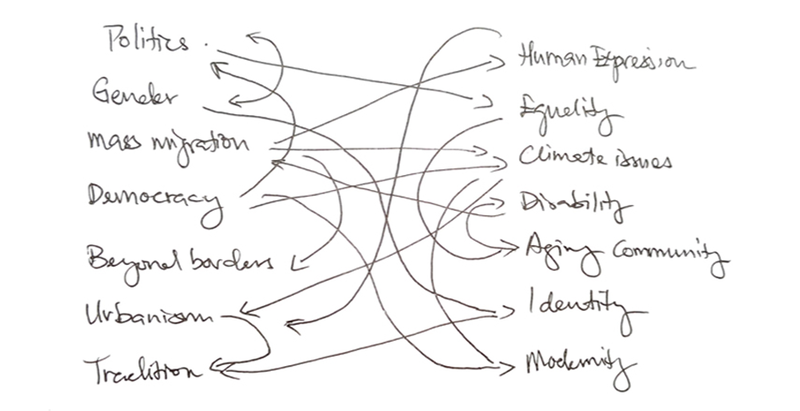 Between 2012 and 2015, he directed the self-organized, multidisciplinary platform DiscLab | Research and Criticism. He has been (co-)curator of the 8th OK. Video – Indonesia Media Arts Festival , Jakarta (2017) and other recent exhibitions, including A Tripoli Agreement , Sharjah Art Foundation, Sharjah (2018); Lightning Studies: CTCCCs presents PASÁ PASÂ , Performing Arts Meeting in Yokohama (2018)/Lopez Museum and Library, Manila (2016); An Ecological, The Obligatory , Philippine Contemporary Art Network/Vargas Museum, Manila (2017); The Artist and the Social Dreamer , Forecast Festival , Haus der Kulturen der Welt , Berlin (2017); and From Bandung to Berlin: If all of the moons aligned (with Brigitta Isabella), SAVVY Contemporary, Berlin (2016). He is a recipient of various fellowships, grants, and residencies from numerous art institutes internationally. With support from the National Commission for Culture and the Arts, he is currently conducting research on text-image relations of the initial decades of two community-based, cultural publications in Mindanao. Tananop Kanjanawutisit is a theatre practitioner, focusing on dramaturgy andproducing, based in Bangkok. He has been a member of Democrazy Theatre Studio since 2012. His various roles in the company range from performer, producer to dramaturg. Some of his theatre credits include Boxes , Hipster the King , Happy Hunting Ground and The Retreat . 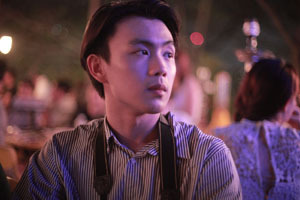 As an independent he is worked in a producing team of Bangkok International Children's Theatre Festival 2018 and also a founder of Collective Thai Scripts, a collective compiling and translating contemporary Thai plays into English for a publication that will be out later in 2018. 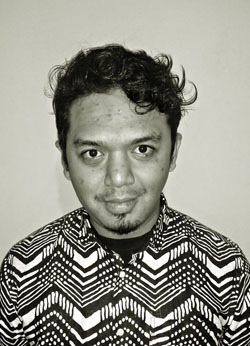 Taufik Darwis is a dramaturg in Bandung, Indonesia. He is co-founder of the Bandung Performing Arts Forum. Since March 2016, he has been a co-curator of the Indonesian Dance Festival. In 2018, Taufik has been invited as a guest curator at the Teater Garasi / Garasi Performance Institute for Cabaret Chairil Program. In 2016, Taufik attended the Art Summit Indonesia for Dramaturgy and New Dramaturgy Workshop by Ugoran Prasad and Peter Eckersall. He was also involved in a dramaturgy forum organised by Teater Garasi in Yogyakarta, which runs presently under the name Dramaturgy Assembly. In 2018, Taufik attended The Curators Academy Theatre Works Singapore; TPAM – Performing Arts Meeting in Yokohama, and Symposium Asian Dramaturg's Network. and just this September (2018) through the US / NOT-US Project with BPAF, he participated and was involved in the Asian Dramaturgs Network Laboratory 2018 in Yogyakarta.